Shipping costs are indicated on individual items. We ship via USPS. Orders can take between 3-6 weeks from processing to receipt. Assisting the surviving families of overdose victims in their time of grief. 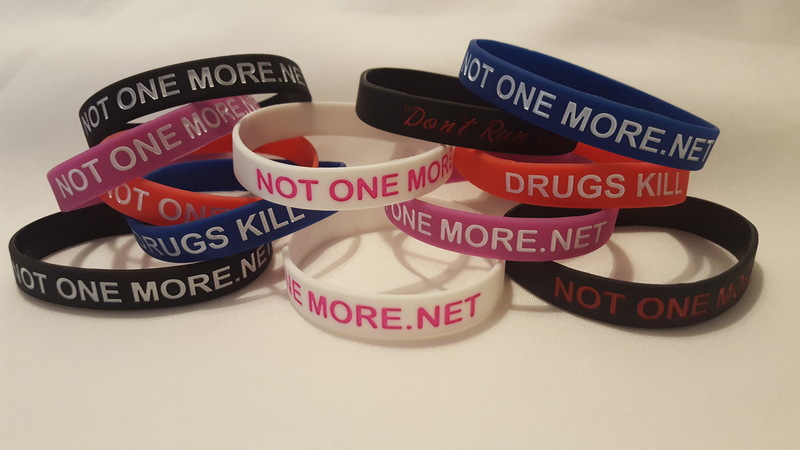 Promoting awareness through items such as bracelets, t-shirts, posters, etc. Not One More © 2019. All Rights Reserved.